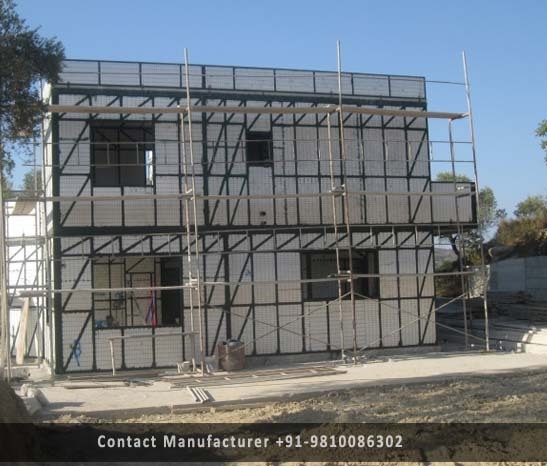 Prefabricated Double Storey Structures Manufacturer in Delhi, Prefabricated Double Storey Structures Supplier in Delhi, Prefabricated Double Storey Structures in Delhi. Owing to the team of our experts, we offer finest quality Prefabricated Double Storey Structures that allows maximum use of limited floor space. The offered structures are highly admirable for supervisory offices with a clear view of work areas. These are fabricated with the support of pipes that are concealed and independent for wall system. The offered structure is acknowledged amongst clients due to features like high durability, easy installation and appealing looks. Clients can avail the offered structures from us at the most reasonable prices.